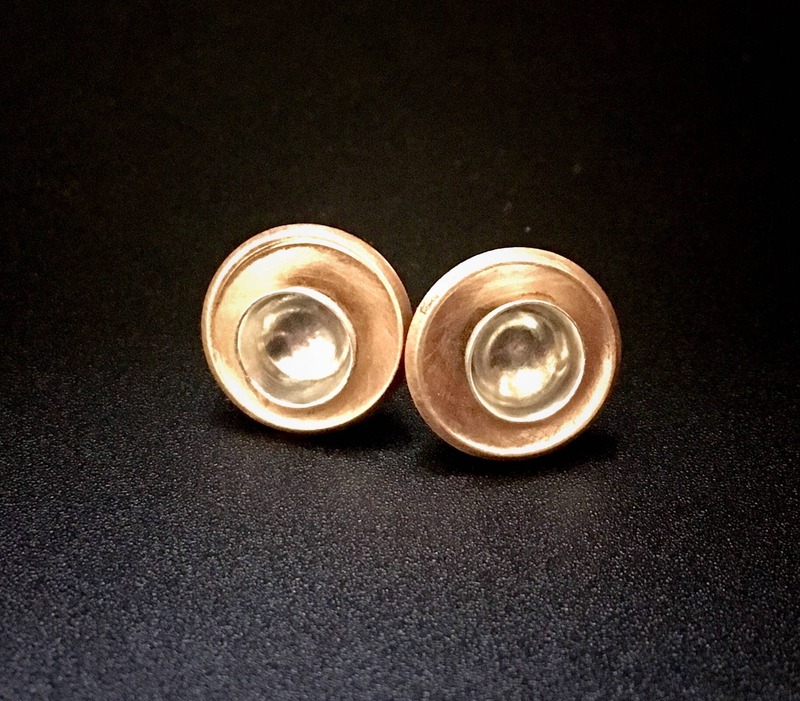 Unique pair of stud earrings feature a concave Sterling Silver disc nestled inside of a concave bronze disc. Subtle satin finish enhances both. Diameter of disc is approximately 13mm. Stainless Steel posts. Please note: like Sterling, Bronze will develop a patina over time, which only enhances the character of the earrings!